Our mission is to empower underrepresented teen groups and young adults to be their own "change agents" within their communities. We promote civic engagement in the communities we serve through strategic leadership programs for youth, community workshops/events, and through providing access to relevant legal and political workshops and web content. 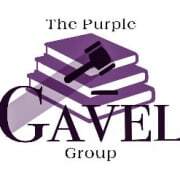 The Purple Gavel Group demystifies legal and political content for young adults, while combining it with unique counseling programs to build a more empowered mindset. Overall, our goal is to combat obstacles that plague our low-income communities and help foster progression and elevation in the state of California. Since its creation in 2018, "PGG" is already serving schools in 4 districts in Southern California, with plans to expand into Northern California beginning Fall 2019. Would you recommend PURPLE GAVEL GROUP INC? The Purple Gavel Group was very adept at facilitating a fun and educational learning experience at LA Southwest College. There wasn't a student without a smile on their face, students benefited greatly from workshops and art performances, it was very inspiring to contribute to conversation and action around personal development and civic engagement with the Purple Gavel Group.